Surely only the Coen Brothers could make time in such a lean, spare thriller as Fargo for an ostensibly meaningless character to temporarily derail the action so late into the film. Colourful bit-parts are par for the Coen course in their wackier fare (David Thewlis’ preposterous artist Knox Harrington in The Big Lebowski springs to mind), but when small-town police chief Marge Gunderson (Frances McDormand) sits down to dinner with old school friend Mike Yanagita, Fargo grinds to an initially bewildering halt. Yet there is more to this sadsack fantasist than meets the eye. In a perceptive analysis on the Kinosaur website, it is suggested that Yanagita’s interjection is crucial to the forward mechanic of the plot; Marge, upon discovering that she has been lied to by Mike, is piqued by her own gullibilty and subsequently catalysed to pay a second visit to the wheedling car salesman Jerry Lundegaard (William H Macy), thus prompting him to flee in desperation. Furthermore, Yanagita’s fantasist ways act as a subtle counterpoint to those of Lundegaard. His tragic fabrication of a wife and her demise is certainly sad, and not a little twisted, but exists in his head. Conversely, an equally perverse confection from the mind of Lundegaard, manifested in his doomed kidnap plot, makes it to reality and culminates in the decimation of his own family, leaving his son Scotty without a mother (deceased), grandfather (deceased) and father (jailed). 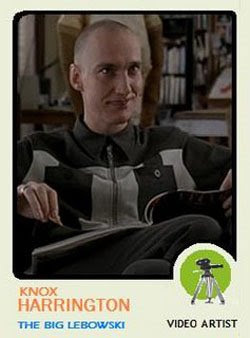 On a side note, it always gnawed at me slightly that the Coens didn’t show us a little bit more of the tragic impact that the whole familial house of cards had on young Scotty. 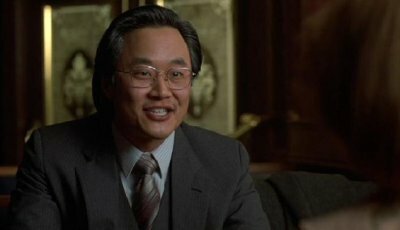 Yanagita is played by the veteran character actor Steve Park, who you may recognise from his role as the spirited Korean grocer from Spike Lee’s Do the Right Thing. He also appeared in the brothers’ 2009 masterpiece A Serious Man as the deadpan father of a blackmailing student, inviting the hapless protagonist Larry Gopnik, in the film’s key line, to “accept the mystery”. This entry was posted in Characters that I love and tagged Awkward!, characters, Fargo, film, Justin Bieber, Mike Yanagita on November 2, 2010 by Ashley Clark.